The Nobel prize winning author Orhan Pamuk sets the majority of his latest novel, The Museum of Innocence, in 1970s Istanbul and tells the story of a rich man who falls obsessively in love with a poor relative. Pamuk borrows this premise, the destructive and dark love (kara sevda) of people from different classes, from the popular Turkish cinema (particularly melodramas) of the 1960s and 1970s, also known as “Yeşilçam” Cinema. This 592-page novel may be read as a contemplative piece of fiction, offering analyses of Turkish social and cultural psyche as a country in the throes of westernization and modernization. Pamuk’s use of melodramatic tropes in his attempt to understand broader aspects of Turkish culture is not surprising, as Turkish audiences have had a soft spot for the big screen stories of star-crossed lovers since the early days of Turkish popular cinema. The (often collective) act of crying with tear-jerker melodramas was and continues to be a favourite pastime of Turkish people. “...[C]rying was an invention of the late eighteenth century” writes Joan Copjec, in relation to the emergence of melodrama as a new literary form in France. She admits that people, of course, cried before then, but in the late 18th century there was “a general social incitement to cry” due to the social changes brought about by the French Revolution. Similarly, Peter Brooks traces the origins of modern melodrama to the French Revolution and argues that the emergence of melodrama as a popular genre, or mode, was related to the increasing need for the establishment of moral codes during a time of modernity, when the traditional idea of the “sacred” represented by the monarchy and the Church was shattered. By the same token, it might be argued that crying was “invented” in Turkey in late 19th century, when the background for an immense social change was in preparation due to the efforts of westernization in the country. These changes were reflected on in the early novels written by Ottoman writers, such as Ahmet Mithat Efendi. His 1876 novel Felatun Bey ile Rakim Efendi is the first novel to introduce the concept of ‘false Westernisation’. By juxtaposing the degenerate dandy Felatun Bey, whose idea of westernization is a superficial one, with the honest and hardworking Rakım Efendi, Ahmet Mithat Efendi proposes a correct version of westernization, which is repeated in following years in other literary works. In one of her essays, “Acilarin Cocugu” (The Child of Sorrows) Gurbilek talks about how Turkish society identifies with the image of the crying boy in a series of posters and postcards, which were quite popular in Turkey during the late seventies and eighties. She believes that Turkish society is haunted by a sense of belatedness – a belatedness in modernization and westernization, which in turn makes the society feel like a wronged child, who has been drained of all strength but is still standing. A similar theme arises in Esra Akcan’s article “Melancholy and the ‘Other’”. Akcan claims that “the non-Western other suffers from a lack of, or distance from the ideal, having perceived the “West” as the “ideal norm”. She calls this “melancholy of the geographic other”. Both Gürbilek and Akcan, like others before them, put an emphasis on melancholy as a mood characterized by ambivalence. Gurbilek describes how Turkish people simultaneously idealize and distance themselves from “the West” and Akcan mentions how the “non-West” or “the East” at times feels sorrowful and angry for not being like the idealized West, and content at other times for the very same reason, not being a part of the oppressing powers of the West. The concepts of westernization and modernity, and the melancholy associated with it have continued to capture the imagination of the Turkish public into the 20th century. Popular Turkish melodrama films of the 1960s and 1970s problematized these concepts in their portrayal of the love stories of the rich and the poor, the urbanite and the villager. These films pointed towards a balance between modernity and traditionalism, the East and the West. One trendy narrative of the time appropriated Bernard Shaw’s Pygmalion for a Turkish setting. Sürtük (The Tramp, Ertem Eğilmez, 1965) is a good example of this trend. The film presents the acculturation process of a lower class, rural female singer, Naciye (Türkan Şoray), who is discovered by a rich club owner, Ekrem (Ekrem Bora). Ekrem has a bet with a singer that he can create a star from Naciye, ‘the tramp’. He gets her to take classes in order to learn how to be a polite and well-mannered lady of taste, and an educated singer. In the process, Ekrem falls in love with her, and so does her music teacher, Cüneyt (Cüneyt Arkın). Ekrem, being used to get whatever he wants, tries hard to separate Cüneyt and Naciye (now known as Türkan, the famous singer) and succeeds through threats and coercion. However, at the end, he sees the error of his ways, and helps the two lovers reunite. Türkan (Naciye) gives up her fame and wealthy lifestyle to be with Cüneyt. The filmic narrative thus establishes Türkan as having been westernized in the manner desired by the official discourse. She initially bears the qualities generally associated with the East, or the rural in Turkey, she is lower class, poor, uneducated, but also sincere and honest. Her education is a process of modernization/westernization, where she learns how to dress, dance, and speak in the Western way. There are several indicators in the film that Türkan’s westernization is not merely an added-on quality, but she has adopted it and merged it with her whole being. In the second half of the film, we never see her slipping into her old self like she does in the first half; she is never called by her real name, Naciye (which is presented as an old-fashioned, ‘eastern’ name) but instead uses her stage name, Türkan; she displays a complete adaptation to her new lifestyle, wearing expensive clothes and jewellery, driving expensive cars, and always behaving in a ‘cultured’ manner. However, as opposed to Ferah, who is the embodiment of ‘false’ westernization in the film with her attachment to luxury and riches and her lack of compassion for her fellow human beings, Türkan holds on to the values that are held sacred in the popular imagination. She chooses love over wealth, thus sacrificing the lifestyle she grew used to. Ultimately, Türkan is represented as the ideal citizen, balancing the traditional and the modern in her self. The beginning of the 1980s saw a dramatic decline in the number of films produced in Turkey and their audiences. It was not until the mid-1990s, that there was an increase in the number of popular genre films produced in Turkey. Eşkıya (The Bandit, Yavuz Turgul, 1996) is identified as ‘the’ film that marks the return of popular Turkish cinema by critics. The film made use of narrative strategies of Yeşilçam melodramas, by introducing a case of platonic love that defied years of separation, and a villain who separates two lovers. However, there were significant differences, as well. The film was technically superior to any of the Turkish films produced until that point and provided characters with psychological depth instead of Yeşilçam’s stereotypes. What is more, the main characters were overtly Kurdish, something the Yeşilçam cinema had never done. Eşkıya pioneered the new Turkish melodramas, and many others were made since 1996. These new melodramas borrowed themes from Yeşilçam melodramas of the 1960s-70s, but also strived to make them more contemporary. Çağan Irmak’s films provide excellent examples in this regard. His films were publicized in the media as films that made everyone cry. Particularly, Issız Adam (Desolate Man), his 2008 film, can be read as a modernized Yeşilçam text. The film tells the story of Alper (Cemal Hünal), a chef and Ada (Melis Birkan), who designs costumes for children. Alper is portrayed as a womanizer, who only has one-night relationships; however, he falls in love with Ada and they soon start a relationship. Ada finds out about Alper’s isolated ways, how he has distanced himself from his family and his past friends from his rural hometown. In the end, Alper’s lifestyle prevents him from committing to Ada and they break up, but the final scene makes it clear that they never get over each other. Issız Adam inherits the sentimentality and melancholy from Yeşilçam melodramas, but leaves out the naïveté. The characters are represented as members of the new middle class, who enjoy hobbies like collecting old records and second hand books. Unlike Yeşilçam characters, they enjoy their (pre-marital) sexuality openly, and do not situate it in an inferior place to spiritual love. However, there is still a striking resemblance between Issız Adam and Yeşilçam films, which lies in their treatment of the modernity question. Alper’s behaviour towards his rural mother suggests that he is ashamed of her traditional (Eastern) ways. It is implied in the film that the reason why he wants to break up with Ada is that she gets on too well with his mother. Ada has the power to restore his relationship with his past, which he is reluctant to come to terms with. Ada, on the other hand, is represented as a modern woman, who is not afraid of balancing more traditional lifestyles with modern ones, therefore constituting an ideal citizen like Türkan in Sürtük. Both Sürtük and Issız Adam are seemingly only about the romantic relationship of heterosexual couples. However, they provide a glimpse into the Turkish public’s concerns about Westernization and modernity. Sürtük, despite its popularity at the time of its release, looks outdated and naïve from a contemporary point of view. The popularity of Çağan Irmak’s melodramas suggests that crying about the unrequited love stories of doomed lovers is still a favourite pastime in 21st Century Turkey. Of course, filmmakers update their narratives with modern details; however, the stories and the sentimentality remain the same. More importantly, the major themes of westernization and modernity continue to be questioned in new melodramas, which means these issues are not likely to be settled very soon, even after almost two centuries of debate about them. 1 - Joan Copjec, "More! From Melodrama to Magnitude" in Endless Night: Cinema and psychoanalysis, parallel histories, ed. Janet Bergstrom, Berkeley and Los Angeles: University of California Press, 1999, p. 249. 2 - Peter Brooks, Melodramatic Imagination, New Haven: Yale University Press, 1995, pp. 14-17. 3 - Berna Moran, Türk Romanına Eleştirel Bir Bakış, İstanbul: İletişim, 2004, p. 48. 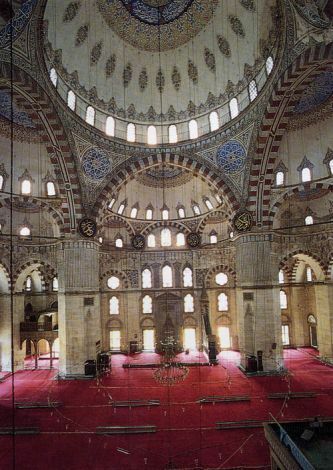 4 - Nurdan Gürbilek, Kötü Çocuk Türk, İstanbul: İletişim, 2001, p. 39.